The Maytag UKF7003AXX PuriClean water filter produces cleaner, better tasting drinking and cooking water. Reduces chlorine taste and odor as well as sediment. Removes 99% of Cysts. 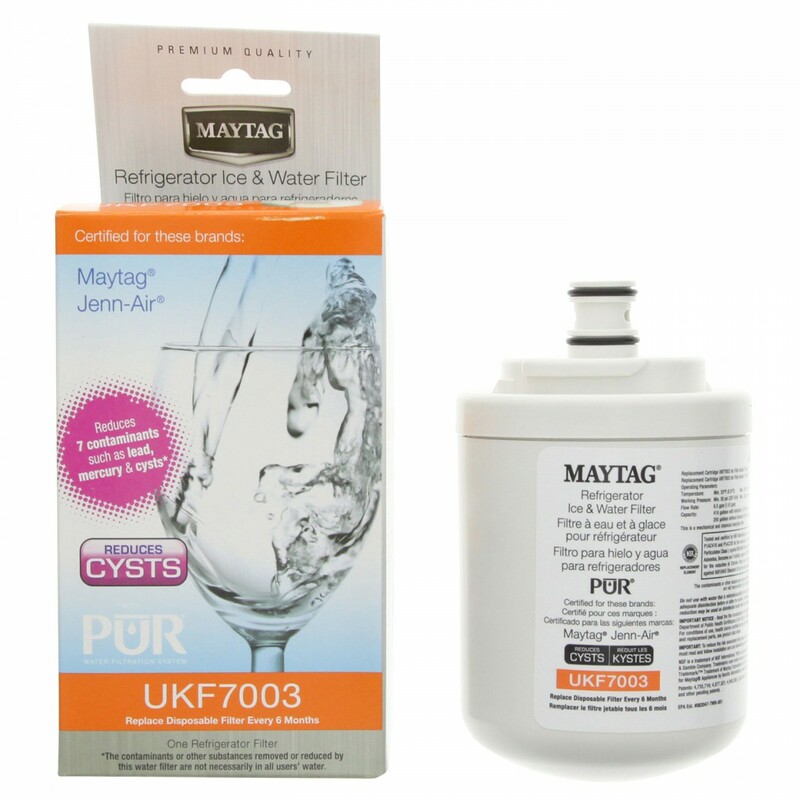 The Maytag PuriClean UKF7003AXX refrigerator filters also reduce Lead and Turbidity. The Maytag UKF7003AXX filter does not remove Fluoride. 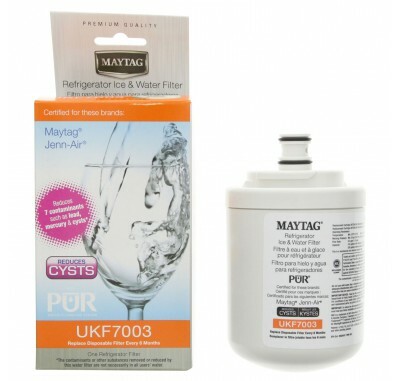 The Maytag UKF7003AXX water filter has a Twist-In and Twist-Out design for easy replacement. 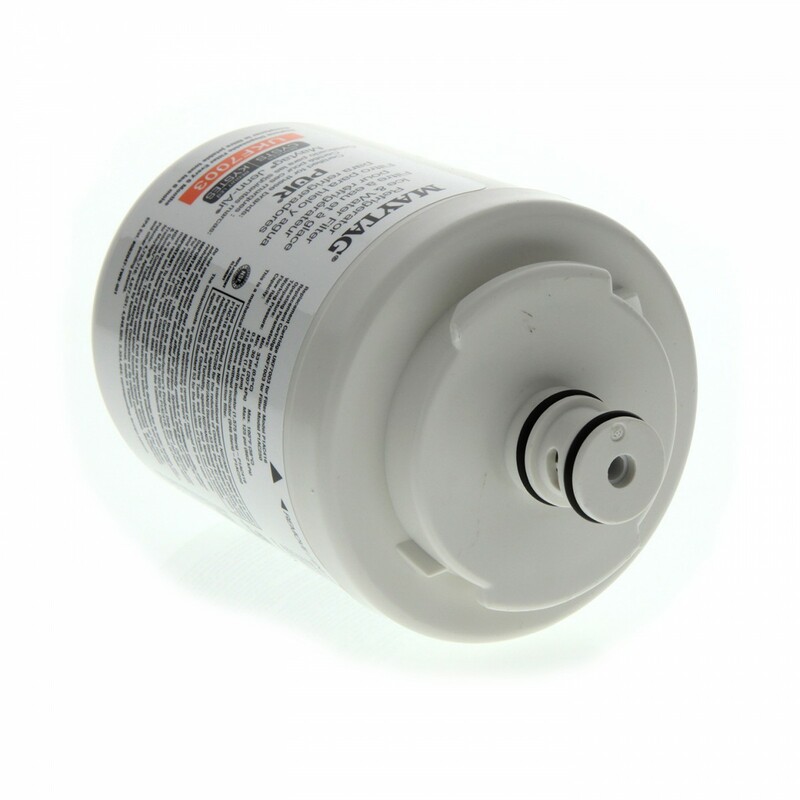 The Maytag UKF7003AXX refrigerator water filter should be replaced if you notice tastes and odors returning to the water, the water pressure is greatly decreasing, or the filter monitor light on the refrigerator has turned red. Comparable Replacement Filters for the Maytag UKF7003AXX Water Filter are the Tier1 RWF1041, the Swift Green SGF-M07 Water Filter, and the Aqua Fresh WF288 Refrigerator Water Filter. Consider upgrading to the Whirlpool EveryDrop EDR7D1 filter for increased contaminant reduction.